Tom Hanks has recorded his final ever scenes as his 'Toy Story' character Woody. 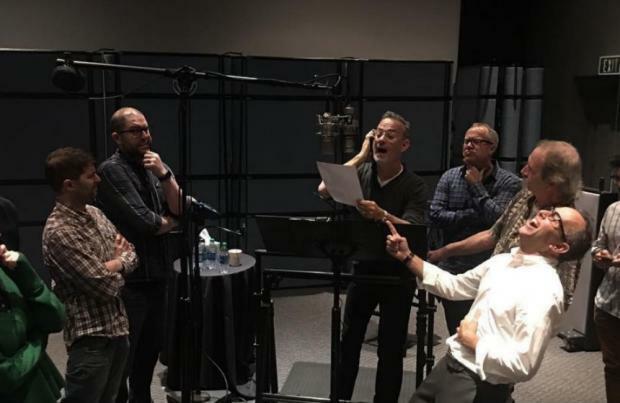 The 62-year-old actor is hanging up the cowboy's hat for the last time on 'Toy Story 4' after first bringing the beloved Disney Pixar character to life in 1995 and he shared the news and a behind-the-scenes photo from the recording booth of his last day on his Twitter account. According to the Disney synopsis, the upcoming installment will center on Woody's original love interest Bo, reading: "Woody has always been confident about his place in the world, and that his priority is taking care of his kid, whether that's Andy or Bonnie. "So when Bonnie's beloved new craft-project-turned-toy, Forky (Tony Hale), declares himself as 'trash' and not a toy, Woody takes it upon himself to show Forky why he should embrace being a toy. "But when Bonnie takes the whole gang on her family's road trip excursion, Woody ends up on an unexpected detour that includes a reunion with his long-lost friend Bo Peep." Annie Potts has returned to the film to lend her voice to Bo and insisted that her character is an "independent and capable" woman. She previously said: "She is modern, independent, capable and confident. Bo is written and conceived to be inspiring as she has weathered life's ups and downs with grace. I aspire to that." 'Toy Story 4' – which sees Keanu Reeves join the cast in a secret new role – is set for a June 2019 release. Woody and Buzz set out to find Bo Peep, who was given away prior to the third film.